(2013/Atlantic Japan) 10 Tracks - Japan CD reissue of the original 1970 Atco album! Always operating in the shadow of her older sister Dionne, Dee Dee Warwick didn't have the luxury of Burt Bacharach and Hal David always standing at the ready with one instant pop standard after another. But with gospel-enriched pipes like hers, Dee Dee needn't have taken a backseat to any singer. Born Delia Mae Warrick on September 25, 1945 in East Orange, New Jersey, Dee Dee came from a gospel-rooted family. 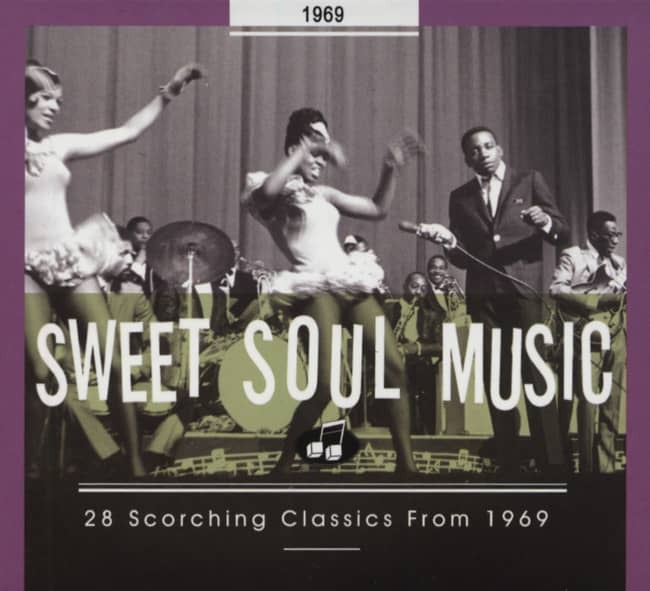 Her mother, uncles and aunts (including Cissy Houston) were members of The Drinkard Singers, and Dionne and Dee Dee soon formed The Gospelaires with Myrna Smith. They segued into singing studio backgrounds for Savoy in 1960, the first time on a session by saxist Sam 'The Man' Taylor. Before long, the sisters were part of a select group of female background singers on the New York R&B scene (Cissy and Doris Troy were part of it too), backing The Drifters, Garnet Mimms, Chuck Jackson, Maxine Brown, and many more. 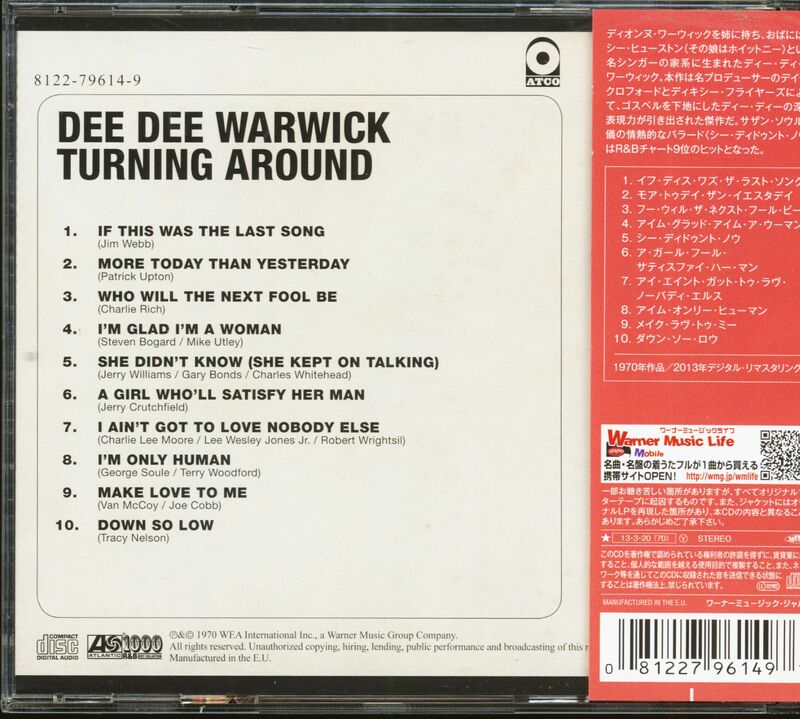 Altering the spelling of her surname Warwick in line with her big sister, Dee Dee went solo in 1963 with the original version of You're No Good for Jubilee, then a '64 single, Standing By, for Jerry Leiber and Mike Stoller's Tiger label. She signed with Mercury's Blue Rock imprint, working with producer Ed Townsend on her '65 hit We're Doing Fine and the Top Ten R&B entry I Want To Be With You for the parent Mercury logo. Jerry Ross took over the Mercury production reins on Dee Dee's first hit version of I'm Gonna Make You Love Me in 1966. "That happens to be my favorite version," notes Ross. "I loved working with her." Ross also supervised and co-wrote When Love Slips Away, Warwick's only hit of '67. "When she sang it," says Jerry, "she nailed it." Dee Dee reunited with Townsend for the Rene Hall-arranged Foolish Fool, a #14 R&B/#57 pop entry that Ed also wrote. The instrumental intro runs almost 45 seconds before Warwick finally leaps in, her dynamic pipes wringing more out of the repetitive title phrase than seems possible. The same braintrust was behind That's Not Love, her last hit on Mercury later in '69. 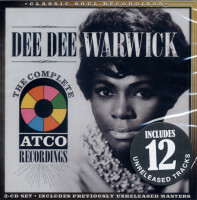 Dee Dee's moving Miami-cut reading of She Didn't Know (She Kept On Talking) cracked the R&B Top Ten in 1970 for Atco. Cold Night In Georgia and a cover of Elvis' Suspicious Minds put her back in the charts in '71. But Dee Dee never did quite escape that shadow. "She was under the umbrella of her sister all the time, and Burt Bacharach," says Ross. "And that's hard to compete with." She died October 18, 2008 in a New Jersey nursing home. 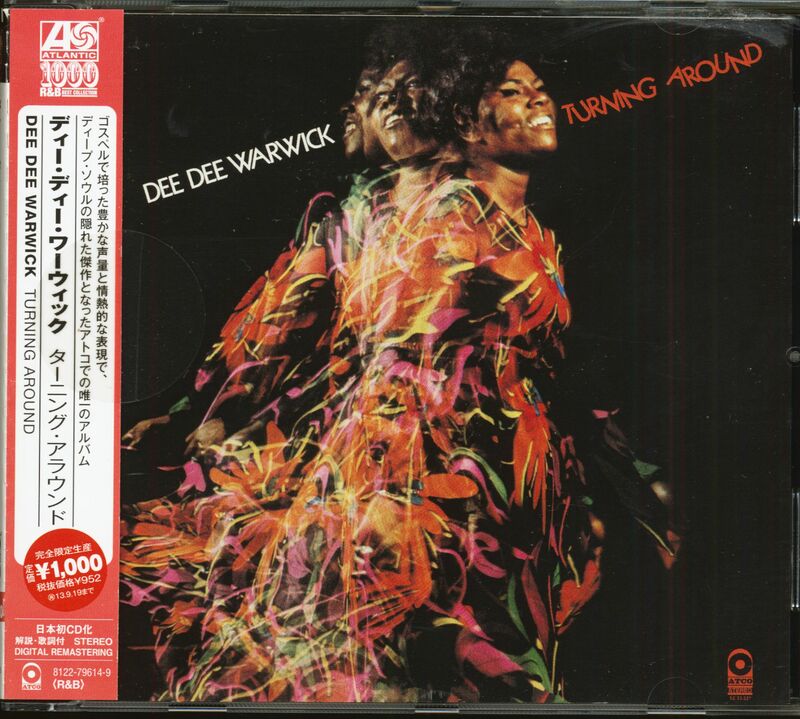 Customer evaluation for "Turning Around (CD, Japan)"